This catalog describes an academic calendar for Davidson College which consists of two 15-week semesters. 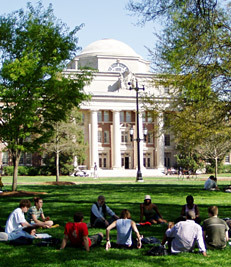 The requirements in this catalog apply to students entering Davidson in the 2011—2012 academic year. Information in the print catalog is accurate as of the date of publication. Course information may be updated during the academic year. Davidson College reserves the right to make changes in policies, regulations, and fees, giving due notice, in accordance with sound academic and fiscal practice.